The Ashby property consists of 3 claims located in Mineral County, near Hawthorne. The claims cover mesothermal gold-bearing quartz veins within the Jurassic Dunlap Formation. 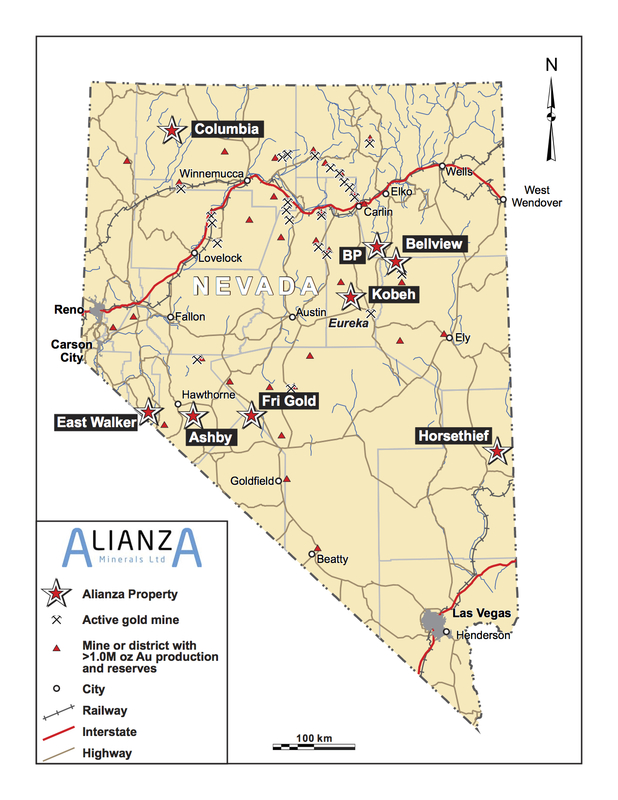 In August of 2017, Alianza granted Nevada Canyon Gold Corp. (“Nevada Canyon”) a ten-year lease on the Lazy 1 to 3 claims comprising the Ashby Property. Historic production of 9,000 ounces is reported from the 1930’s and several hundred ounces per year during the 1980’s and 1990’s. Vein widths range from 15 centimeters to 1.8 meters and gold grades are reported from sub-gram to multi-ounce intervals. The property has had very limited modern exploration but subsequent work identified the potential for additional veining and mineralization in the vicinity of the historic workings. Nevada Canyon’s initial program, part of its larger Garfield Flats exploration program, will consist of reconnaissance prospecting, geological mapping, review of the historic workings and a follow up geophysics survey. This initial reconnaissance program will provide accurate modern data to assist in the planning of further work, including drilling. 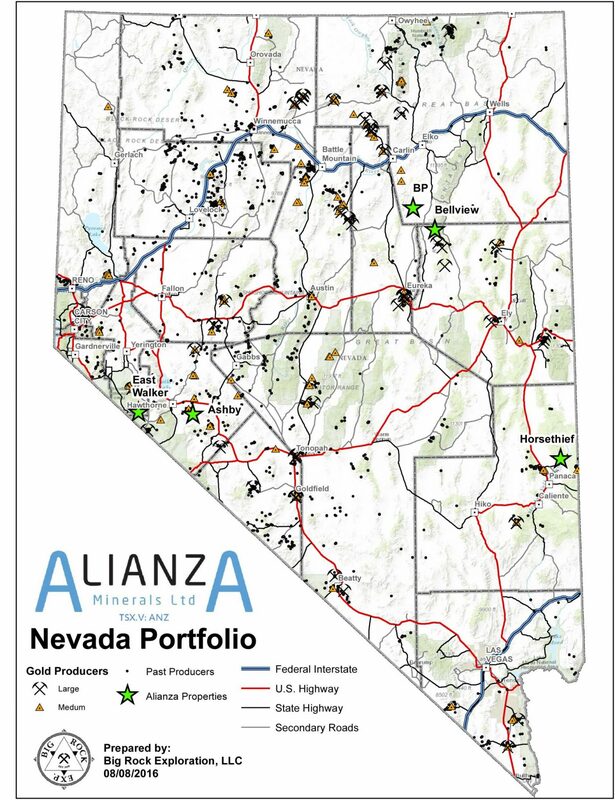 Under the terms of the lease, Nevada Canyon will cover all claim fees and taxes, certain reclamation requirements on the property and make annual payments to Alianza. Additionally, Alianza will receive a 2% Net Smelter Royalty (NSR) on future production from the claims. The lease may be extended for an additional 20 years.